A proper old fashioned pub away from the heaving centre of Hertford. Two bars with separate doors, which is so rare these days. I'm not great fan of Mcmullen's beers but I drank them here and the AK was smashing. The lounge bar, as such, has a heap of train memorabilia and worth nipping in to view. Beer garden as well and friendly people. All very nice. Just one thing ruins it and that is the view of crappy 1960/70 housing outside. Shame as from the station its all proper workers cottages until just before the pub. I visited this pub with a friend during the summer. It occupies a street corner and has two separate drinking areas with a corridor running in front of them. During our visit we noted staff and local drinkers to be friendly and accommodating to families with young children and dogs. 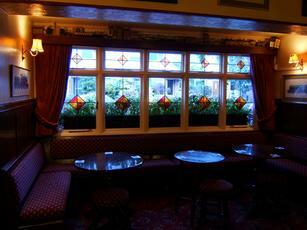 The Mac's AK was on fine form and there was a fair range of pub snacks such as crisps, nuts etc available at the bar. 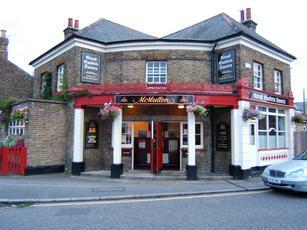 Worth a visit and handy as the first or last pub in a Hertford crawl as it is very close to Hertford East station.